Good bye Surgeries! Hello Skin Tightening. Our clients are raving over our non-surgical Skin Tightening treatments! We target the cellulite & tighten the skin for a more youthful appearance. Tired of the loose sagging skin, that isn’t where it once was? 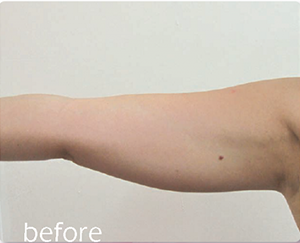 We offer Skin Tightening everywhere on the body. We can lift brows, reduce under eye bags, improve dark circles, tighten the overall face and neck, and even plump your lips. We also perform post-pregnancy laxity or post severe weight loss body tightening treatments. 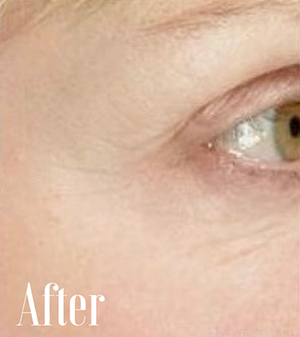 With our revolutionary technology, the treatment of loose and sagging skin has been transformed. We get to the heart of treating your skin by gently heating your skin’s underlying network of collagen & elastin fibers. This action causes the fibers to shrink, restoring your skin’s elasticity and leaving you with a tighter, smoother appearance. These treatments can help you change the way you look and feel about yourself easily, without the risks of surgery. Our technology allows us to treat any type of skin, anytime. Ask us about other treatments for lower body. Age, gravity, and genetics can lead to sagging skin and local fat in the facial and neck areas. For many patients the result is a “square face” or “bulldog look”. We have non-invasive solutions to help you deal with with sagging skin and related skin problems, at an affordable price, and with no recovery time. Many customers are choosing to undergo these safe, non surgical treatments that can be completed over a lunch break. Defying gravity, our skin tightening treatment is the most effective solution on the market for treating sagging skin and local facial and neck fat. Suitable for all skin types and with no anesthesia required, our Skin Tightening shrinks fat cell volume, enhances blood circulation throughout the treatment area, and much more. Significant results include skin elasticity restoration and a tighter and smoother appearance. 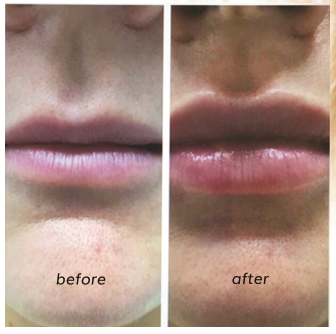 This treatment provides a gradual improvement of skin texture/laxity without downtime or high risk factors! If you choose this type of treatment for superficial acne scarring or enlarged pores you may see improvement of new collagen in the area. Be mindful, weight fluctuations may influence the results. You will want to maintain a balanced diet. Also, constant sun exposure, or smoking will require more treatments, more frequent maintenance and may impact your response to the procedure. Know that stretch marks and scars – will never completely disappear! But the good news is, you can expect improvement in their color and size with skin tightening treatments.. Note, white stretch marks are much more difficult to improve. (See also Micro-needling for dramatic improvement in stretch marks and scarring.) 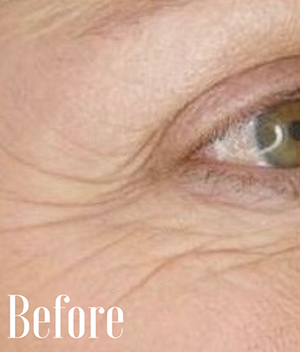 Our results for wrinkles are also fantastic. You can expect them to thin and flatten and look markedly improved. Your individual response to treatment and number of sessions required will be unique to you, your skin type, and how you maintain your lifestyle after your treatments. Your NuYou clinician will help optimize your treatments and results. To qualify for Relift Skin Tightening, you should visit our consultants to assess whether you are a potential candidate. Due to our advanced technology, all skin types can be treated. With the ability to target different depths in the skin, our treatments for tightening and wrinkle reduction can address every facial and body part, including areas traditionally difficult to treat, such as hands, décolleté, bikini/labial, and bony areas like the forehead. How long do treatment take? Treatment sessions range between 10 and 30 minutes. Exact treatment time depends upon the specific application, each individual patient’s condition, and the specific area that is being treated for treatment. No. Our contact cooling system provides the most comfortable experiences possible. And with the ability to target different levels of skin, you’ll never receive more energy than is actually needed. While each patient is different, results are visible after the first session and will improve session after session. 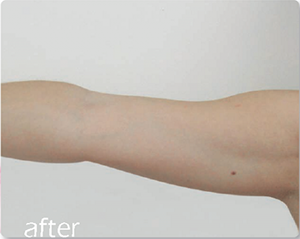 Our clinicians will provide complimentary before and after photos for you to record your transformation. Typically the number of treatment sessions range from 3-6 treatments, depending on the actual application needed, your skin’s condition, and each patient. Please consult with your practitioner to better understand your individual needs and treatment recommendations. One maintenance session is generally recommended every 3-6 months, or as required. Your practitioner can advise the best interval time for your specific needs.